Workplace violence can erupt anywhere at anytime. However, there are clues and ones that should be paid attention to if understood. As a Leader/Manager or Supervisor you role is critical to above dangerous out comes and serious liability. This online training course is a suggested template for assessing the potential for workplace violence. 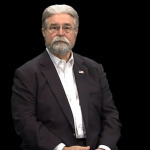 The individual taking this course should be aware that predicting who might contribute to a workplace violence situation is difficult because there are so many variables involved. Additionally, workplace violence is not just a violent act; we must consider numerous types of behaviors that I will be discussing throughout this course. The more common issues looked at in the workplace violence arena today include bullying, harassment of any kind, intimidation, and domestic or intimate partner violence. Each online course is developed from an 8-hour classroom-based curriculum. The average length of our online courses is 90 to 120 minutes. Why Be Concerned About Workplace Violence? Chapter 4 - What About the Active Shooter?